If you own an iPhone, BlackBerry, Droid, or any smartphone, there's a good chance you've screamed that phrase out at least once. In Damn You, Autocorrect!, pop-culture blogger Jillian Madison shows you are not alone. 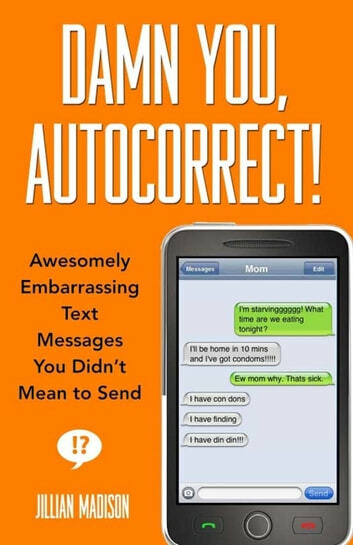 Filled with submissions from readers of her popular website, this laugh-out-loud funny book features cringe-worthy exchanges with parents, friends, significant others, and co-workers that contain some of the most unintentionally hilarious--and mortifying--mistakes ever caused by Autocorrect. Inside, you'll find a husband who tells his wife that he just "laid" (paid) the babysitter, a dad who tells his daughter that he and her mom are going to "divorce" (Disney), and many more epic texting fails too raunchy to list here. Whether you love technology, texting humor, or taking just a little bit of pleasure in the misfortune of others, Damn You, Autocorrect! will leave you laughing until you cry, and thankful that nothing this embarrassing has happened to you. Yet. 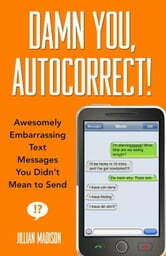 Books related to Damn You, Autocorrect!